Data is the foundation of 21st century transportation systems. As new transportation technologies rapidly emerge they create data streams with vital information for management, proactive planning and policymaking. These data created on city streets must be available to cities in an accessible format in order to support sustainable, accessible and affordable transportation. 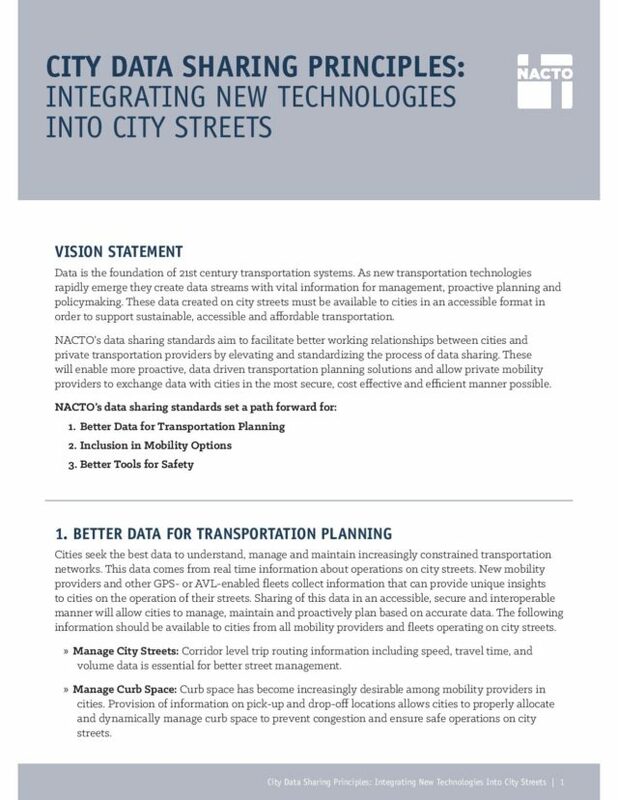 NACTO’s data sharing standards aim to facilitate better working relationships between cities and private transportation providers by elevating and standardizing the process of data sharing. These will enable more proactive, data driven transportation planning solutions and allow private mobility providers to exchange data with cities in the most secure, cost effective and efficient manner possible.